This past July was apparently the wettest on record for the DC/Baltimore area. This got me thinking about rain, and songs about rain. While everyone would agree that we need rain, most times its a bummer in that it ruins outdoor plans, keeps you inside, and is associated with a lack of sunshine. How is rain used in songs? There are literally dozens if not hundreds of songs about rain. So this will be just a small sample of rain songs that I dig for one reason or another. ‘Why does it always rain on me? I love how the violin perfectly captures the depressing message of the song. The second great song from CCR is ‘Who’ll Stop the Rain’ off their 1970 album Cosmo’s Factory. Again, many interpreted the song to be about the Vietnam War, but Fogerty has said it was actually written after CCR played at Woodstock. After seeing the masses of fans singing and dancing despite being cold and muddy in the unrelenting rain, he went home and wrote the song. Another sub 3 minute classic from CCR! Let’s shift to the pop world. A great example of rain as a metaphor for the complicated nature of emotional relationships is the Eurthymics song ‘Here Comes The Rain Again‘ from their 1984 album Touch. Dave Stewart has said that the melancholy mood of the song is due to “I’m playing a b-minor, but then I change it to put a b-natural in, and so it kind of feels like that minor is suspended, or major. So it’s kind of a weird course.” The song structure also repeatedly alternates between an A and B section with little variation, suggesting the monotony of continuous rain fall. The lyrics captured in Annie Lennox’s beautiful vocals describe a tension between the complicated emotions that can happen simultaneously in a troubled relationship: resignation,depression, longing, but still love and desire. Where black is the color, where none is the number…..
Ok, let’s do one for the youngsters in the audience. Only Happy When It Rains by Garbage (off their self titled 1995 album). On the face of it, the lyrics are pretty bleak and depressing, veering towards being a bit over the top – but actually that was the intent. The song is actually a tongue in cheek poke at the general view at the time that grunge and alt rock bands only sang about depressing angst ridden subjects. Ok, now that we have cleared that up…. What’s interesting to me is that it is one of the few instances (at least for a song that was this popular) of rain not having a negative connotation, but rather a joyous, cleansing, ok, even spiritual feeling. Prince’s impassioned vocals, along with the equally brilliant guitar solo, take the song to another level. By the end of the song, you feel like you have taken a journey to a new better place where you can start anew, “bathing in the purple rain”. Even if you aren’t completely sure what purple rain is. Ok that will do it for now. As I mentioned earlier, there are loads of songs about rain. These are only the ones that immediately came to mind. Perhaps I will do a follow up post some time looking at other examples. Now it’s your turn! – what are some of your favorite songs about rain? 1958 So You Say Its Your Birthday: Thurston Moore, American singer and guitarist with the noise rock band Sonic Youth. Moore is known for his innovative guitar techniques, including unorthodox guitar tunings and guitar preparing techniques. 1960 ‘Only the Lonely,’ Roy Orbison’s first hit, reachs No.2 on the US singles chart. The song had been offered to both The Everly Brothers and Elvis Presley, who both turned it down, so Orbison recorded it himself. The clip below is from the classic A Black and White Night concert – see if you can spot all the music legends in Roy’s backing band. 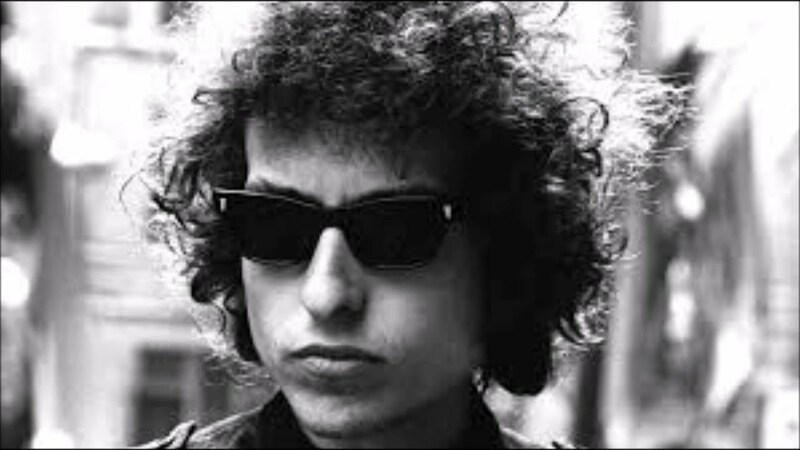 1965 Bob Dylan headlines the The Newport Folk Festival and plays a plugged in set with the Paul Butterfield Blues Band that includes his new song ‘Like a Rolling Stone.’ Reaction was mixed with some folk music fans outraged while others in the audience cheered. One writer noted that he had “electrified one half of his audience, and electrocuted the other”. 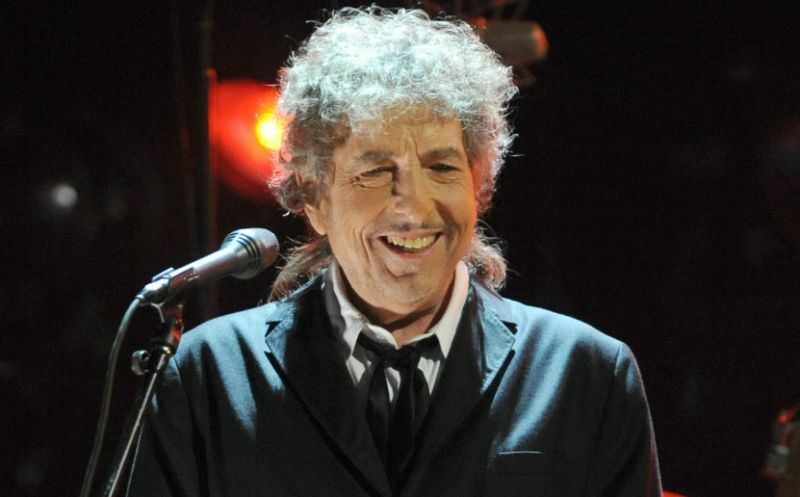 The moment signifies Dylan’s movement away from folk and toward more rock influences. 1980 AC/DC release Back In Black, their tribute Bon Scott, their former lead singer who had died in February of 1980. Brian Johnson stepped into the lead vocalist role, and the album went on to become the second highest selling album of all time. So what was going on? From checking other accounts, it seems that although the officers had heard of Bob Dylan before, they didn’t recognize him in person, and may have been suspicious that it was actually him (and who can blame them – who would expect that the Bob Dylan would be wandering the neighborhood, in the rain, peering into empty houses, 45 minutes from the concert site.) Imagine the officer’s surprise when they pulled up to the hotel! There has been some speculation that Dylan was checking out the local haunts of another legend, Bruce Springsteen, who lived in the area back in the day and had played in Long Branch. Apparently Dylan had done something similar when he played in Toronto some years earlier, wandering around Neil Young’s old haunts. So what was he up to? Channeling inspiration from other rock legends? Being the ultimate fan stalker? We will never know. Here is a link to the Star-Ledger excerpt above. And here is a fun interview with the police officer, Kristie Buble, who picked Dylan up, who explains more what happened.